Jadson Souza, or Professor Caçador, is a professor of Capoeira Regional under Mestre Bamba from Bahia, Brazil. Professor Caçador has been training Capoeira for over a decade and teaching since 2006. 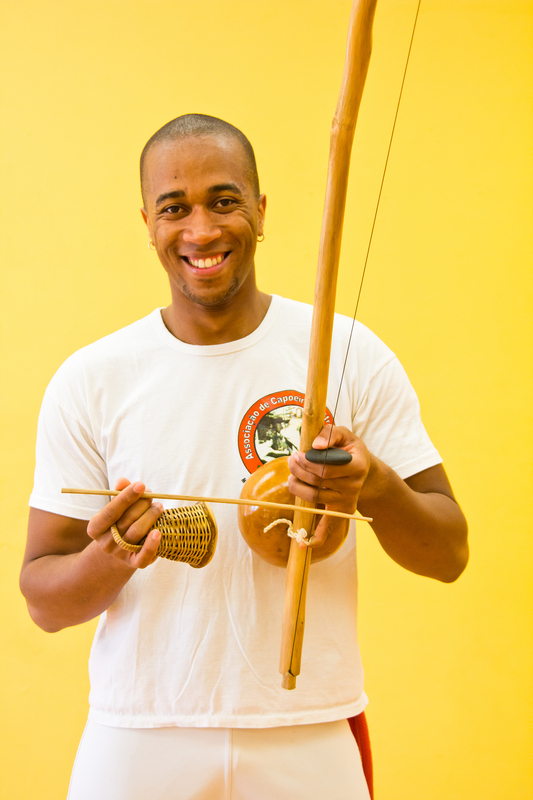 Original from Brazil, Jadson taught at the Associacao de Capoeira Mestre Bimba in Bahia. In 2007, he graduated from Unijorge University with a degree in Physical Education. This has complemented his Capoeira instruction as well as his vibrant energy and passion for this significant art form. 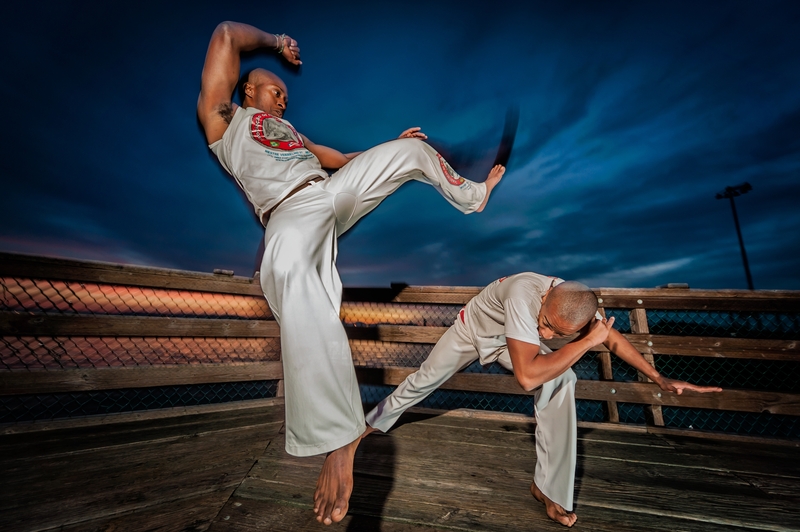 In March of 2010 Jadson moved to the Bay Area where he opened his own chapter of the Associacao de Capoeira Mestre Bimba. He has been teaching Capoeira at elementary and middle schools, and community centers in addition to his adult classes at martial arts gyms and dance studios. Jadson currently offers an adult Capoeira program in Oakland, a children’s program in Alameda, and is part of the city of San Pablo’s COPT (Childhood Obesity Prevention Task Force). In a year, Jadson has taught over 50 kids in the San Pablo/Richmond area, with Capoeira being the most successful course in the program. Helio Conceicao or Sereno, began Capoeira with his uncle under a big mango tree in Salvador Bahía, Brazil, when he was five years old. When he was ready to begin a formal education in Capoeira, in 1992, Helio went into the Capoeira Kilombolas School, which unfortunately cost his family seven cruzeiros per month, or about two U.S. dollars; an amount that he couldn’t afford. So, Helio said with a smile, “I paid only the first month, and then I found ways to never pay again.” His determination to practice this art in the face of extreme poverty earned him in 2000 a scholarship at the first Capoeira Regional academy in the world, Associaco de Capoeira Mestre Bimba in Salvador, Brazil. There, Helio was able to become part of a dedicated community of Capoeiristas that influenced his life in a positive manner and was given the nickname “Sereno”. In 2007, Helio brought his training to Traverse, Michigan, in 2007 where he taught at Leelanau Center for Contemplative Arts. 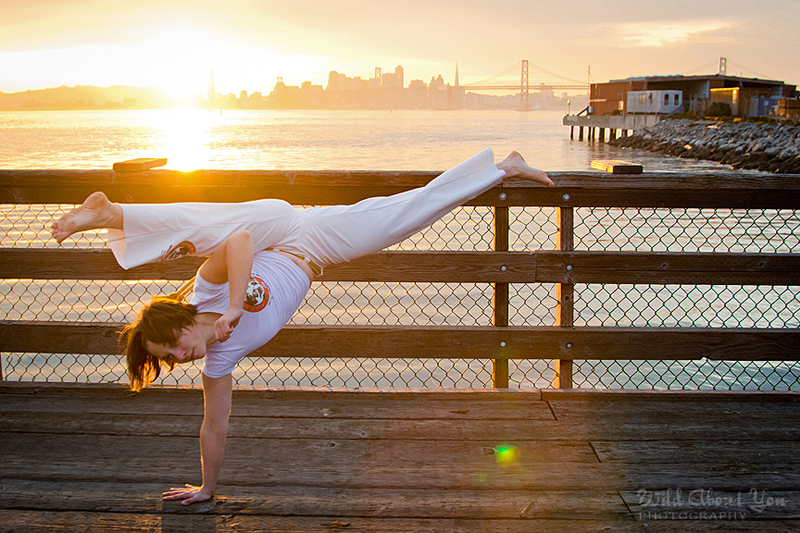 Beginning in 2010, Helio has been teaching at various locations in the Bay Area. He now teaches weekly classes at the Berkeley YMCA and was part of its outreach program to help keep elementary school kids active. He also teaches at an alternative high school in Oakland and has several adult classes throughout the Bay Area where he offers scholarships for underprivileged teens and adults. Though originally from the Bay Area, Alice Riegert (Piu Piu) first laid eyes on capoeira at the Associacao de Capoeira Mestre Bimba in Salvador, Brazil. While on summer vacation in 2005, she went to a performance at the school and was so awe-struck by the martial art that she immediately started taking capoeira classes back in the US. She trained under Mestre Mariano of Capoeira Batuque in her university town of Santa Barbara and spent the summers training with Mestre Acordeon and Mestra Suelly at UCA in Berkeley. In 2008 she studied abroad in Brazil and came full circle, joining the Associacao the following year. Alice helps run the kids programs with Jadson.